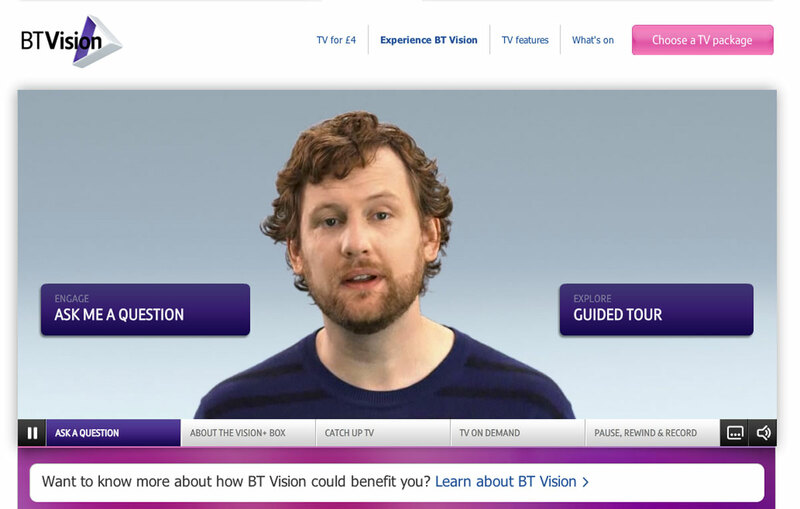 BT Vision has launched a new interactive online guide to showcase all the features and benefits available to users. The application developed by LBi, the digital marketing and technology agency, takes customers on a guided tour of the service led by virtual character. The character has been developed using logic and data acquired through the questions most frequently asked of BT’s ‘Live Person’ virtual assistant, ensuring that customers are directed to the right information quickly and effectively. The character sings, dances and entertains customers whilst answering questions. He also showcases the features of the BT Vision box.